LCR-Reader, a new cheaper and more simple model of Smart Tweezers LCR-meter is released. It will replace Smart Tweezers model ST5L that is being phased out in June 2013. 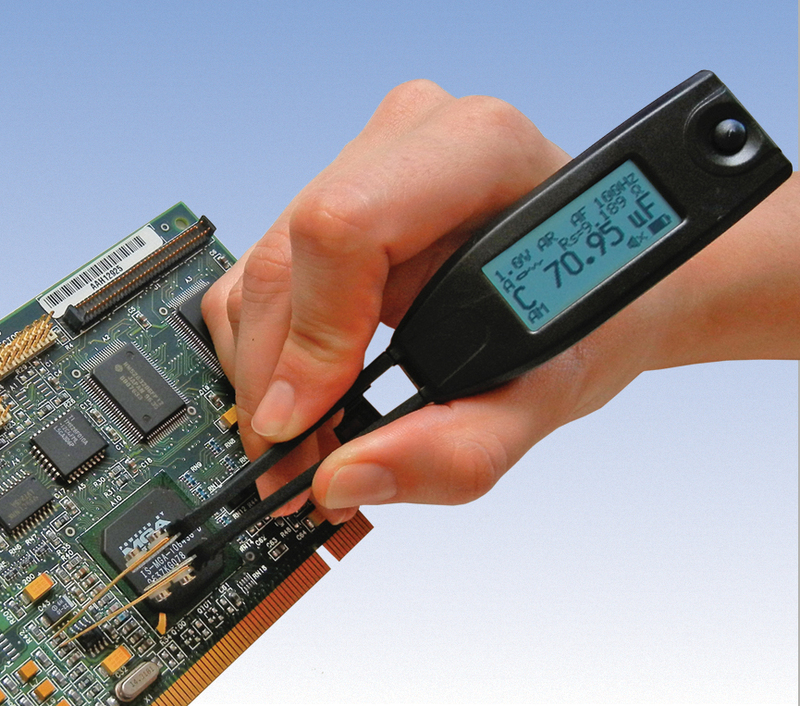 The latest in Smart Tweezers LCR-meter family, LCR-Reader is arriving. The device is currently in a pre-production stage with finalizing small details of the mold, PCB and packaging. Its public release date is planned to be July 1, 2013. The new device will replace the previous budget model of Smart Tweezers ST5L which accordingly will be phasing-out by the end of June 2013. LCR-Reader, prototype of which was presented to the public a couple of months ago shown on the right. It is very much alike Smart Tweezers in the way of use. In contrast to Smart Tweezers, LCR-Reader is considerably lighter weight and smaller in size as well as the price. LCR-Reader is two times lighter than Smart Tweezers ST-5. It is also powered by Li-Ion rechargeable battery chargeable via USB connector. Basic accuracy of the new device is better than 1% . A new simplified design includes just one control button that turns the device on and changes the measurement mode by a single push of the button between Automatic, Inductance, Capacitance, Resistance, and ESR (Equivalent Series Resistance). Test signal amplitude is fixed at 0.5 Vrms, measurements are done automatically, test frequency is adjusted according to the component type and value. An inductance measurement is shown on a picture to the right. Here AM indicates the measurement mode (Automatic Mode). Similarly to Smart Tweezers, LCR-Reader in addition to the the main impedance component L, C or R it will also show the parasitics. 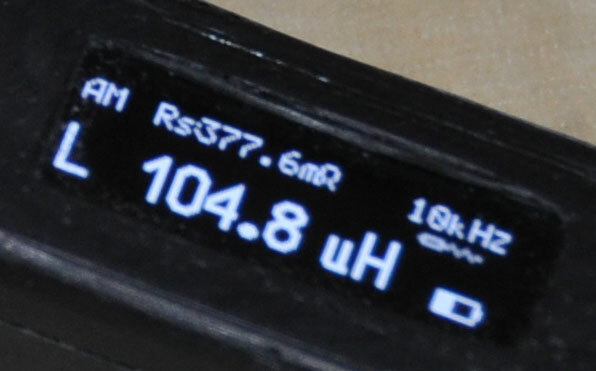 Here Rs indicates parasitic series resistance of the inductor, 10 kHz is the test frequency, L indicates that the component type is an inductor, 104.8 uH indicates the inductance value, and in the left bottom corner of the screen the battery charge level is shown. Follow the latest news at Smart Tweezers Blog. You may also watch a brief video of Smart Tweezers LCR-meter introduction on Youtube. Be the first to own LCR-Reader, call today to pre-order and get 20% discount. A detailed comparison of features of the LCR-Reader and previous models is presented in the Smart Tweezers Comparison Table.